Call (603) 436-4222 today for a self storage facilities quote! Looking for self storage in the Portsmouth, NH area? You're in luck! Safeway storage is one of the most reliable storage facilities that has been in business for over 25 years. We proudly serve customers in the Seacoast area including Portsmouth, NH and the surrounding areas. At Safeway Storage, our name says it all. At Safeway Storage, we offer a secured self storage facility. 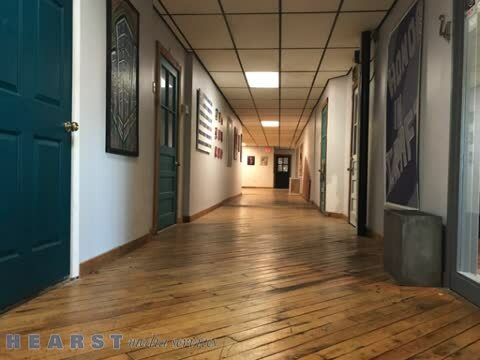 All of our self storage units are located in a well constructed building in downtown Portsmouth, NH. Our location is secure and it allows our clients the ability rest assured that all of their property is safely kept at all times in their self storage unit. We offer self storage facilities on an individual and a commercial client basis and have self storage units to meet everyone’s needs! We also provide an attendant on the premises during hours of operation to aid with any questions that our customers or potential customers may have about our storage facility. Whatever your self storage needs are, trust the professionals at Safeway Storage. We look forward to serving you! Superior, Safe Storage Facilities Available Now! Have valuables you want to keep safe, but don't have enough room? At Safeway Storage, we provide convenient self storage solutions for commercial and residential clients. We also have the space to make accommodations at our storage facilities for RV storage, boat storage, and car storage. Our convenient location is easily accessible and offers a wide range of self storage facilities in a safe, clean and well-maintained facility. Variously-sized self storage units are available to fit every one of your needs! Whether you need self storage for your items while you move, are looking for a storage for all your seasonal items, or are looking for permanent storage facilities, Safeway Storage brings the best to the Portsmouth, NH area. When it comes to self storage facilities, you want to be assured that they are not only protected from theft or vandalism, but can also avoid climate change. At Safeway Storage, we strive to provide you the self storage units you'd expect your valuables deserve to be in. When selecting the right storage facility for your needs, remember Safeway Storage. With our great downtown location, we are not only easily accessible, but safe as well. We even have loading docks available to help to get your items into your self storage unit. We have heated self storage units to protect items from the cold too. With reasonable rates and outstanding service, make us your first choice in storage facilities. Call Today to Learn More About Our Self Storage Facilities! When it comes to storage facilities in Portsmouth, NH, Safeway Storage does it best. Offering clean, secure and safe self storage facilities, there is no better company to call when you need a place for your belongings. With our convenient downtown location, we are easily reached and are able to provide you with superior service. We offer reasonable rates and a safe place for your things, so why not choose us? Call Safeway Storage today for any and all of your self storage needs! Heated year round, low rates, all size units, long & short term storage. Individual and commercial, outside secured storage available for boats, cars, RV's. We offer all storage needs at great rates!! Call today! !